This set of equipments used to convey the carcass and the white . 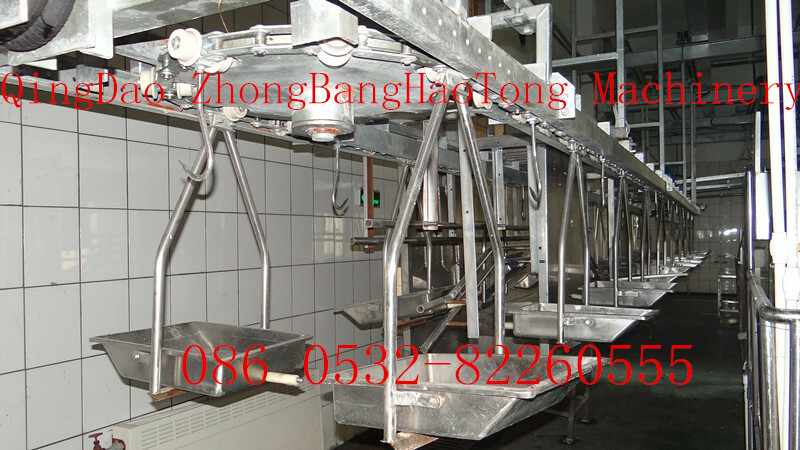 The hooks and the trays will be automatically cleaned and sterilized through the cold-hot-cold water.There are two kinds of the equipment: one is hanging style synchronous quarantine conveyor,another is horizontal synchronous quarantine conveyor. ZBHT Slaughtering Machinery Co.,Ltd. manufacturing high-quality Sheep synchronous quarantine and supply OEM, ODM service according to your personal requirement. Our Sheep synchronous quarantine and other Sheep Slaughtering Equipment is not only good in quality but also competitive in price, welcome to inquiry us about the details of Sheep synchronous quarantine or other slaughtering machine products and accessory equipment.